OH MY GOD IT’S NEW YEAR’S EVE. I experienced something similar last week. It was Christmas morning. Not only was it my first Christmas with family in five years, but it was also my first Christmas with anyone in five years. (Don’t feel bad –it was my own choice). I decided last minute that this this had to be a good Christmas. It started off great. 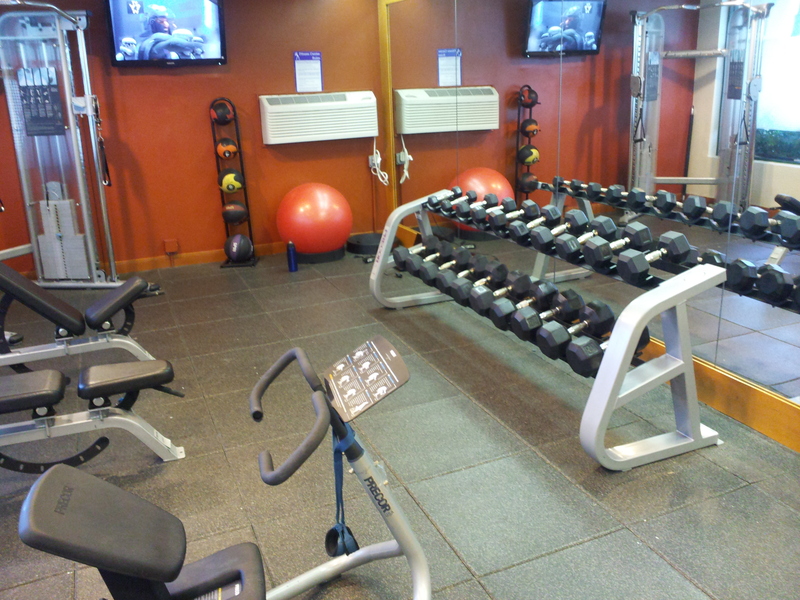 I even got my workout in while my parents went to church. When they got back, Dad mentioned he was hungry. “Perfect!” It’s Christmas! Why not make this morning special and grab something food and cocktails (emphasis on cocktails) before meeting up with the others? In my head, this was a glass of champagne and a pastry. We settled for Andy’s Diner. 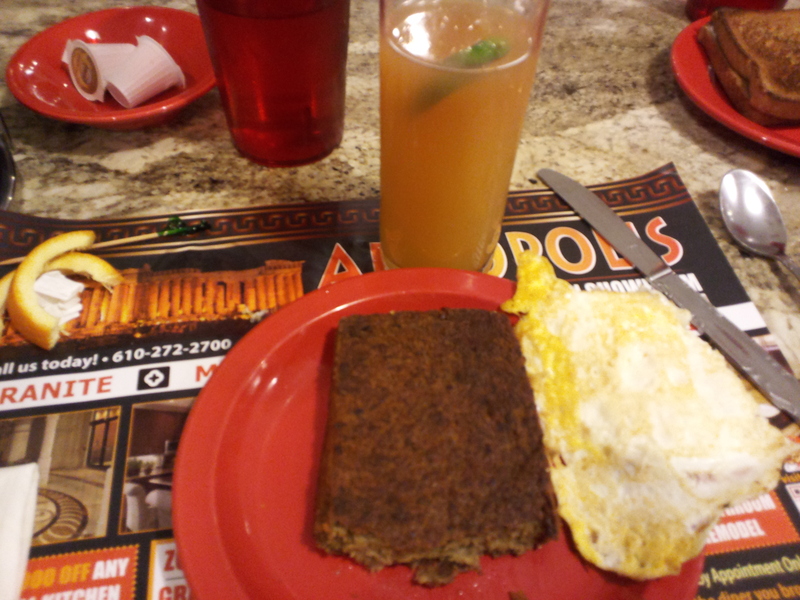 I had a slice of scrapple (It’s a Pennsylvania thing) and a Hurricane. -Drinks at the hotel bar before bed. -Room service (not nearly as fancy/expensive as you’d think) with drinks while watching “Love, Actually” (best Christmas movie of all time). -No other ideas. This idea of a “perfect Christmas” just clicked into my head earlier and clearly one of these would work. …..neither worked. Everything at the hotel was closed. And I let it ruin my evening. Have fun tomorrow! Go out, get crazy. Or don’t. Do something low key. Whatever you decide on, make it fun and make it special. Talk to ya next year, friends. A couple of weeks ago, I wrote about how we should focus our energies on the positives, even during the most negative situations. I personally do a lot to make sure I stay positive. I start off each morning with exercise and personal development reading. I eat clean except on planned cheat days. I’m constantly listening to personal development audio, or interviews relating to my career. And I keep my positive and inspiring friends close by – or at least I try. Even after learning about the passing of my childhood friend, I was doing everything by the books. I was Tony-freaking-Rossi – positivity king of the world. Nothing could break me. Then I attended the wake. Then the funeral. And of course, both were within twenty four hours. Oh, and let’s squeeze in my plane ride back to Chicago too (because Tony-freaking-Rossi thought that was a good idea). I spent a third of the plane ride in tears. The other two-thirds were spent wondering how much longer the flight was…I really had to pee. After taking the train back to the city, I stopped at one of my favorite restaurants that may or may not be healthy. I took my food back home where I eagerly grabbed some wine. I needed a break from being positive. 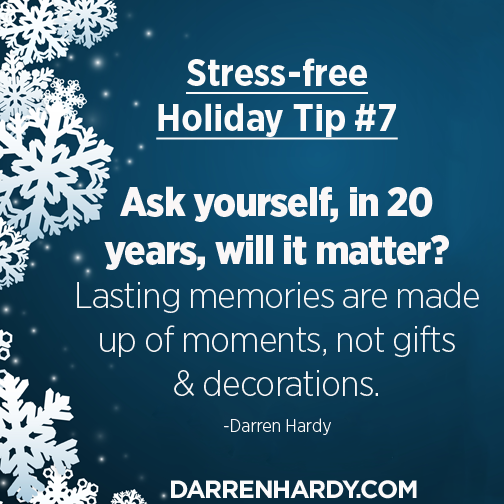 Don’t get me wrong – it’s important to stay as positive as we can during dark times. But there are some circumstances that are going to be bigger than you. No matter how hard you prep, they’ll still get ya. It’s important not to confuse this with making excuses and turning every little thing into an “extreme” circumstance. But for the really extreme ones, we’re allowed to take a break. Not fall into a funk. Just take a break. Stay positive, friends. And when all else fails, know that Big G’s is open late.